Soothes your skin and heals those shaving nicks, cuts, and bumps. Does away with the post-shaving redness in a jiffy to make you date ready in an instant! Doubles up as a lotion, protects like a balm, all in the convenience of facial wipes. Smells like heaven and gives you the scent of a man, who is ready to rock the world. 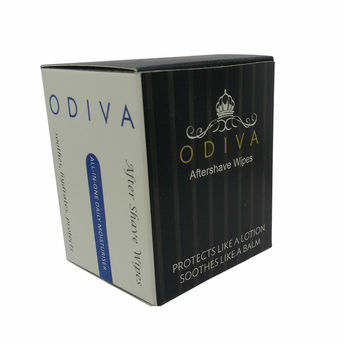 Additional Information: Take care of all your skin needs, whether cosmetic or skin care, with handy wonders from Odiva.